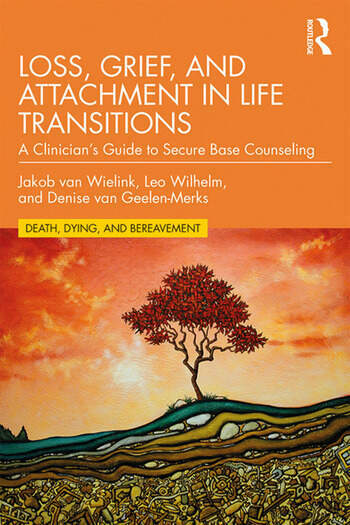 Loss, Grief, and Attachment in Life Transitions gives readers an attachment-informed grief counseling framework and a new way of understanding non-death loss and its treatment. Loss and grief are viewed through a wide-angle lens with relevance to the whole of human life, including the important area of career counseling and occupational consultation. The book is founded on the key themes of the transition cycle: welcome and contact, attachment and bonding, intimacy and sexuality, goodbye and loss, grief and meaning. Rich in case material related to loss and change, the book provides the tools for adopting a highly personalized approach to working with clients facing a range of life transitions. This book is a highly relevant and practical volume for grief counselors and other mental health professionals looking to incorporate attachment theory into their clinical practice. Jakob van Wielink, MA, is an international grief counselor and executive coach. He is partner at De School voor Transitie in the Netherlands. Jakob is a faculty member at the Portland Institute for Loss and Transition in the USA and is affiliated with IMD Business School’s (Advanced) High Performance Leadership Program in Switzerland. Leo Wilhelm, MSc, is a grief counselor, author, executive coach, and advisor to De School voor Transitie in the Netherlands. Denise van Geelen-Merks, MSc, is a psychologist, coach, couple therapist and licensed for systemic work in the Netherlands.